The phenomenon known as “ghosting” refers to when and individual makes a conscious decision to skip out on an agreed meeting or not to respond to various modes of contact. Like a ghost, one glimpse and then they disappear without a trace. 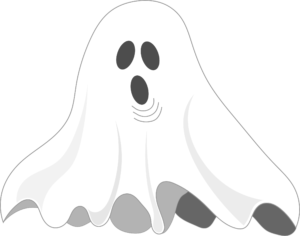 In the job seeking world “ghosting” is manifested as a range of behaviors which may occur at any stage of the job seeking process. In the beginning, a candidate may be guilty of “ghosting” when after applying for a position the applicant fails to respond to inquiries from the prospective employer or does not respond to a request for an interview. More extreme examples include not showing up for a scheduled interview all the way to not showing up for the first day of work. This is not a new phenomenon by any means, previous generations of recruiters would have used the term “being blown off”, nevertheless, non-responders were as frustrating to employers back then as they are now. Ghosting has always been more likely to occur when the NP job market favors the job seeker. When job opportunities are plentiful and the demand for Nurse Practitioners is strong it’s easy for a candidate to become overconfident. The tendency to jump to the conclusion that everyone is eager to hire you can leave the job seeker with the impression there is little to no risk when “ghosting” an employer. After all, there are plenty of jobs so no big deal, right? Wrong. There are several ways that ghosting can come back to haunt your career. No one likes to be stood up. When you “go dark” and stop responding it leaves the impression you seriously lack the basic social grace known as politeness. A characteristic which won’t reflect well on you as a person or as a clinician. Keeping one’s word still means something. Seriously, how hard is it to fire off an email or return a call saying “thanks, but no thanks” or “I changed my mind”? When potential employers take the time and effort to process an application (which YOU initiated) and you don’t respond it only makes you look self-centered at best and downright rude at worst. Healthcare recruiting is a much smaller world than you might think. Recruiters and hiring managers talk to each other – even between organizations – so you shouldn’t be surprised if tales of your previous “ghosting” are passed around and come back to scare away your opportunities for future employment. Ghosting is not just frustrating, but it is wastes valuable time in an employer’s search to fill an opening for a clinician, so organizations can have a long memory when it comes to your disappearing act. Electronic applications now preserve evidence of your past bad behavior indefinitely, so your “ghosting” stands a very good chance of living longer than your job prospects. Burned bridges are mighty hard to cross. My advice is simple. Don’t take the risk. Think of your future and look beyond your current job search. You only have one professional reputation so treat it well. Remember your manners. If circumstances have changed then be considerate enough to let a prospective employer or recruiter know you are no longer interested. Be upfront if you are interviewing for other positions, or have another offer you are entertaining, employers aren’t going to hold it against you. As a newly minted – or even early career – nurse practitioner or physician assistant, finding a job in specialty can feel like an insurmountable task. And yet every year, thousands of your colleagues start their careers as specialists straight out of training. It may not be easy, but if you are strategic and persistent, you too can land the best specialty job for your skills and clinical interests. Below, I will show you my five best tips for getting hired in a specialty as a new nurse practitioner or PA. The first time you express interest in your specialty should not be during a job interview. If that’s the case, your chances of making it any further in that process are less than ideal. That’s because specializing is not for everybody. Employers, not to mention specialists themselves, know this. The demands of the job, the lifestyle, and other requirements may be a deal breaker for some. If you like excessive levels of variety and a background of nonstop chaos, you may be better suited for emergency medicine. If you’d rather wear a bowtie than scrubs, perhaps pediatrics would be a better fit. Big crossword puzzle fan? Anesthesia. I could go on all day. In all seriousness, your career trajectory starts in your training program. If you are interested in neurosurgery, a research project in that general vicinity can do you wonders at a job interview. It shows that you are interested, engaged, and can maintain this focus for the long haul. Your career path isn’t set in stone, however. Changing specialties later on may be a serious task, but it’s not impossible. It’s nowhere near as hard as starting a new career from scratch or going back to school because you are unhappy with your work. However, keep in mind that hiring, training, and then losing a specialty PA or NP can hurt any department or organization. They don’t want to take that chance on you unless they are reasonably sure it’ll pay off. You don’t want to take that chance either, as you may not be immune to any financial, emotional, or professional difficulties from such a decision, either. If you are like the rest of us, you aren’t the biggest fan of ‘networking.’ It’s not something clinicians often admit to enjoying, let alone doing. However, put two clinicians in the same room and eventually they’ll form a bond over a common experience. They may even offer suggestions to help alleviate each other’s clinical pain points. That’s really all ‘networking’ is; forming relationships with people and offering to help. Whether that’s filling a job vacancy, hiring a new provider, or just being a friend and colleague, it counts. One of the best ways to do this is to attend your local, regional, and national conferences. Local conferences are great for making contacts in a new area, while regional and national events can be leveraged to expand your network or meet people who make hiring decisions in a totally new area. Don’t forget about events at your hospital, such as grand rounds. Attend as many events that you can use as an excuse to get in the same room as more experienced clinicians. If going to a physical conference is out of the question, networking online is more valuable than ever, and can create real connections. Joining and engaging in communities like Clinician1 can be as good as attending a conference. There are around 50,000 active PA’s, NP’s, and students who call themselves members, many of whom are happy to connect with you. You may have heard that most people find jobs through people they know. I have landed multiple job offers this way, sometimes in otherwise unlikely, roundabout ways. Often, these positions also seem to be more interesting than those I see posted on generic, non-clinically focused job search sites. I have also been able to turn a hobby into a successful side hustle and business through ‘networking.’ Almost all my clients who contract with me for my medical writing services found me through mutual connections, word of mouth, or (you guessed it) someone I already knew. Of course, that’s just a single case study, which you know is the lowest quality of evidence. Consider the following. In 2016, LinkedIn polled approximately 3,000 individuals in staff and management positions, asking how they found their most recent job. The results were clear. The clear majority of people surveyed (85%) reported that they found their employment primarily through someone they already knew. Glassdoor, an online job board that allows people to anonymously report their salary, did a similar study in 2009. They found that the chances of receiving an offer were about two to six percent higher if you were referred by a current employee. And yes, this was statistically significant. Can you find a job without any connections? Absolutely. But why make things harder on yourself? If you thought the world of medicine was small, wait until you enter the world of a specialty. Like any other job, it helps to get an edge on the competition with a little digging. By being an expert on the company, the medical group, the other providers, and the administrators, you can do something no other interviewee can do quite as well. By using this information, you have the ability to steer the conversation towards them. People love talking about themselves, and you’d be correct to think a specialist is no different. This can serve two purposes. One, it builds trust and rapport; and two, you gain a unique insight to help you better judge what it might be like working with this group. It’s not all about schmoozing, however. Healthcare providers do not get a ton of privacy online. Without much difficulty, you can find a clinician’s accomplishments, state licenses, and other public information. That also means the negative press, publicly available court records, and state license sanctions are just a Google search away. The issues surrounding these topics can fill libraries worth of textbooks. Even the presence of one or more of these factors does not necessarily paint a full (or fair) picture of an individual practitioner. However, don’t discount your gut if you think you see several red flags or get a bad feeling about a provider or group. All clinicians are endowed with a special ‘spidey-sense’ that allows us to tell just how sick a patient is by merely being in the same room as them. As new clinicians, you may feel uncertain or fear using this sense. As you gain experience, it gets stronger the more you realize it was right all along. This can also be applied to other areas of life, such as job-hunting. If something is ‘off,’ you may want to rethink the particular job opportunity. The general salary data that many new graduates use as a reference is not always reflective of the market. Specialty compensation data is available and should be based on actual evidence and value. Most non-healthcare hiring managers are not aware of your true value and may not extend a truly equitable offer. Consider your expected productivity, individual level of autonomy, call schedule, and procedures for which you will be responsible. How much training and support will be provided? Is it an environment conducive to professional growth? Don’t forget that geographic location, setting (such as academic or community hospital, private practice, etc), size of the group, and other characteristics can make or break a job for an individual. All of these factors can affect the value the employer provides to you, depending on your goals. And remember the salary data is just a starting point. Both parties should stand to gain for a truly effective relationship to form. We are lucky enough to be in a great NP and PA job market, as your very own NP Career Coach told me on our recent podcast. However, we are always up against tough competition for any specific job opening. Planning out your job search in advance can put you miles ahead of the competition. For example, it’s always good to have an updated resume. Learn how to write a good cover letter. Practice common interview questions. Job-hunting is an entire industry you need to become familiar with. And if all that seems like too much to handle on your own, a clinician career coach can make a world of a difference to you. It’s not easy to get hired in a specialty as a new clinician, but it is possible. Remember that it starts before graduation, and all your professors who harp on that are right! Get to know other clinicians and hiring professionals in your specialty long before ever asking for a job. Networking doesn’t have to be so awkward anymore. With resources like LinkedIn, Clinician1, and other communities specifically made for healthcare professionals, it’s easier than ever to foster those connections. Be sure to research your potential employer as thoroughly as you can. This helps you determine what kind of a match you might be there. Spend a little time now to avoid the pain of a potentially toxic environment. With appropriate research, you can also get a better idea of the true value you bring to employers so that you can get a fair compensation arrangement. Just make sure you both come out ahead. 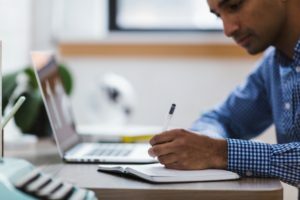 Once you have the foundation laid, finalize your plans to target your perfect specialty job, and be sure to check out resources from the NP Career Coach. Good luck! Jordan G. Roberts, PA-C is a neurosurgical PA who has a passion for medical communications that goes beyond creating great content. He is a nationally recognized speaker, published scientific author, and medical podcaster. He strives to demonstrate an excellence in all things medicine that he knows every clinician is capable of achieving. He blogs at ModernMedEd where he is a medical writer and medical education consultant. There are good interviews and there are great interviews. Simply showing up on time and rehashing your resume does not constitute a good interview, much less a great one. But before I can teach you how to ace your next interview let’s first be clear about the purpose of an interview. In today’s healthcare market employers are looking for more than just the right skill set, they want the right fit. The interview is the best method an employer has to get a glimpse into WHO you are and what you are like as a person. Interviews are an opportunity for an employer to see firsthand how you think and how you organize your thoughts and to determine whether or not you will be a good fit with the culture of their organization. I just recently sat through a round of several interviews and while the candidates said all the right things many of them still didn’t make the right impression. 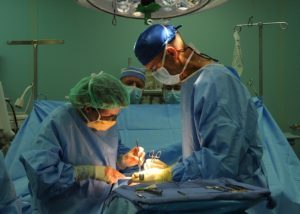 I realized that even though they all were bright talented clinicians they made some errors that undermined their skills and left a poor impression. These easily avoidable errors fall into the following categories. Articulation and detail: Employers appreciate that when you are asked a direct question you provide a direct answer. Simply asserting that you are organized, flexible or caring doesn’t set you apart or make it true. In fact, it sounds as if you are pandering and just telling your interviewer what they want to hear. For example, many candidates dance around questions relating to conflict, leadership and teamwork with indirect answers that seem to show they understand the concepts but in the end don’t really provide a satisfactory answer to the question. What your interviewer really wants to hear from you are examples of how you have demonstrated leadership, solved a problem or worked on a team. When you relate a real life story it also has the added benefit of humanizing you and makes you sound more natural and authentic than simply reciting some well-rehearsed talking points. And if you really want to impress your interviewer, make sure that the example you provide is pertinent to the position you are seeking. This will also help your interviewer to actually envision you in the position. Planning: Expect the expected. During your interview you will inevitably be asked classic interview questions such as “where do you see yourself in 5 years?” or “what are your strengths and weaknesses?” There is truly no good excuse for job seekers who stumble and stammer when asked “what makes you the right NP or PA for this position?” If any of these questions ever catch you off guard during an interview the employer will assume that there has been a lack of thought and preparation on your part. Seriously, these are Interview 101 questions that employers have asked applicants since the beginning of time. Why would anyone want to hire a clinician who failed to see the foreseeable? Self-awareness: If you know you have performance anxiety then why didn’t you take steps to address the problem? Some nervousness is understandable but it’s almost painful to conduct an interview when a candidate has let their nerves get the best of them. It important that you be perceived as poised and confident, not remembered for how stressed out you were during the interview. Strategies such as staying away from caffeine, doing some relaxation techniques and arriving early are helpful but if you really want to lick your stage fright then you need to do what performers do before a big show – practice. Find a friend to do a mock interview with you, and then rehearse over and over until your butterflies are gone. Body Language: Great candidates are also in control of their non-verbal communication. Be the first to extend your hand, because the person who initiates the handshake is perceived as the most confident. Good eye contact is a must. Find something to do with your hands during the interview if you tend to be fidgety. It can be really distracting when candidates click a pen or touch their hair repeatedly. And, you know, like, watch the, umm, annoying verbal fillers too. Social skills: Yes, it IS possible for you to talk too much in your interview. One of the biggest complaints I hear from hiring managers is that the candidate “hi-jacked” and took over the interview. Let the interviewer set the agenda and the pace. The best candidates understand that interviews also involve listening. Employers want to share information about their organization and their open position. Your job is to be engaged, don’t interrupt, and listen politely. When it is your turn to speak, take a second or two to gather your thoughts before you begin. No one will notice and you will sound smarter. Manners: Interviewers also appreciate when you save your questions until the end. This is especially true if the interview is highly structured. It can be difficult for the interviewer to stay on track and organized if a candidate is repeatedly interjecting with questions. And please, always have some questions prepared. There is nothing that makes you look more disinterested to an interviewer than when you have no questions. Attitude: There is a saying that people may not remember what you said but they will always remember how you made them feel. People are drawn to people who have a good attitude and a positive outlook. Complaining is a red flag, so you should always speak favorably about your previous experiences and former colleagues and leave out the negatives. And smile. Your behavior during an interview is a proxy indicator to an employer of how you might behave when you are with a patient. Now go rock your next interview! Not sure? Shadowing might be the solution. Have you received a job offer but you just aren’t sure if you are ready to accept? You may have left the interview feeling a little rushed, and that your questions were not fully answered. This is not unusual. Receiving an NP or PA job offer is a bit like receiving a marriage proposal. It’s very flattering to know that you are wanted. But sometimes you can find yourself so overwhelmed by the notion that someone truly desires you that you don’t consider whether or not the feeling is mutual. So for those of you entertaining an offer but still feeling unsure I recommend you consider a longer engagement. Before you think I have completely gone off the rails let me explain. Ask for a “shadow” day. This has become more and more common in recent years. Requesting to spend a shift or two with one of their current providers, “shadowing” is a good way for both parties to get to know each other better. As a clinician, you will get a clearer idea of not only the job duties and patient flow but also the personality of the practice. Remember, an interview lasts usually no more than an hour and everyone is on their best behavior. It’s a little harder to hide dysfunction for an entire day. If there is an undercurrent of tension or disorganization you are going to pick up on it. So what’s in it for the employer? A good fit, that’s what employers get out of the shadow. Employers are just as eager to find an employee who fits in with their practice culture as you are to find a practice that fits you. A happy employee is a long term employee. As I have said many times before, clinicians rarely leave jobs where they are happy even if they can make better money elsewhere. Great pay and benefits aren’t enough for happiness. Pick me! Pick me! How can you get a recruiters attention? A reader recently asked me why employers choose one nurse pracitioner application over another. Dear NP Career Coach: What can I do to get employers to notice my application? I would like to know if there is anything you can recommend that will increase my chances of landing an interview. Can you help? Dear Job Seeker: Obviously it is important that your resume show the employer that you possess the right qualification and skills for the job. However, you also need to convince them that you have a genuine interest and a strong desire for the position. Employers tell me that if you are able to clearly articulate the reason you are applying for the position then they will be more likely to want to interview you. So how do you demonstrate to a potential employer you have a passion for their position? I have a couple tips to help you. Research the employer. Learning about their culture, mission and history is one way to show an employer you are interested in them. The information you gather will help you to emphasize why you are the right fit for them. And if you get a call or an interview it will also help you to formulate the right questions to ask. Start by checking out their website or Facebook page. Make clear the reason WHY you want this position and make sure that your reason makes sense. The best tool for you to express your motivating reason is the cover letter. Use your cover letter to explain why you feel drawn to the position. Perhaps you have previously worked with this population or specialty before. Or maybe your reason is that you did a clinical rotation in their organization. If you know someone who is a current employee who has inspired you to apply that is perfectly good reason as well. (Name dropping is allowed!) Just remember that whatever your rationale, it needs to be employer-centered and show clear benefit to the employer. For example, proclaiming that you want the job because the hours or commute better suits your lifestyle is not helpful. Don’t “over-apply” or be a “serial applier.” When employers see you submitting several applications for several different positions it makes you look like you either don’t know what you want to do or that you are desperate. Neither of those options is very attractive. Think carefully before applying; if you aren’t sure why you want the job, then you are unlikely to convince anyone else why you would want it either.